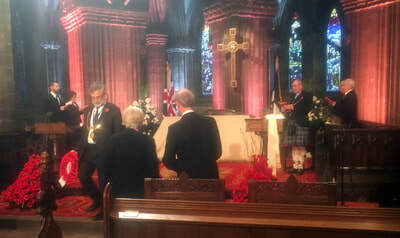 Deacon Gordon Weetch laying the Wreath. 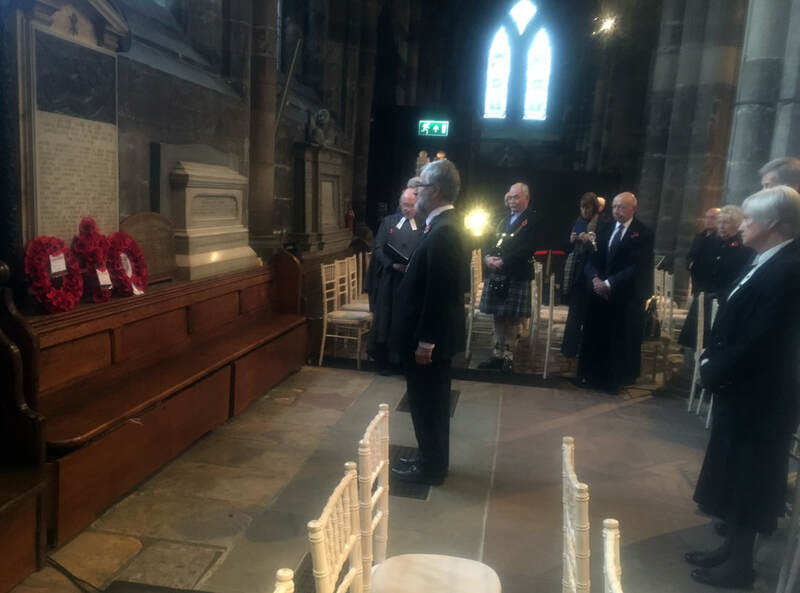 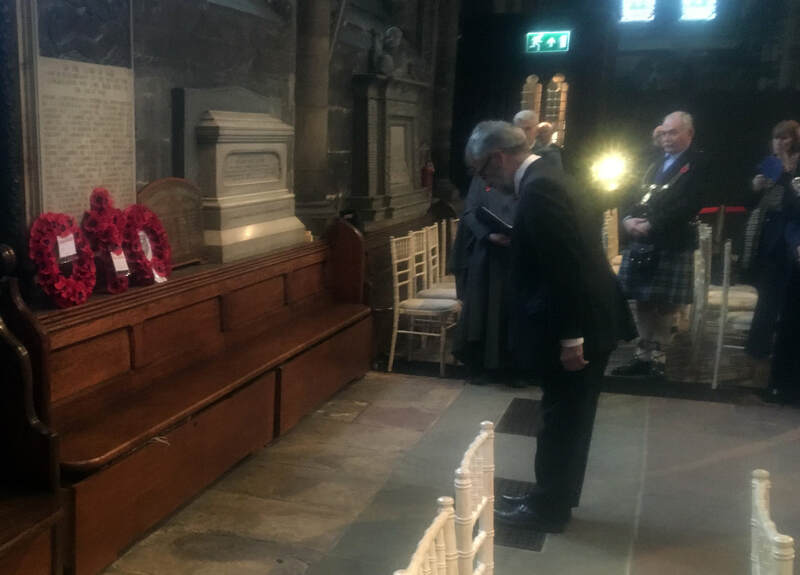 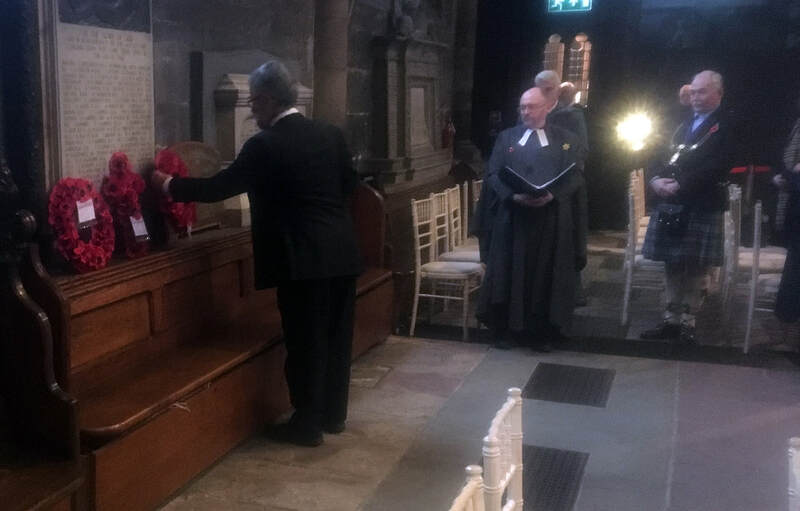 The incorporation of Masons of Glasgow were on parade at Glasgow Cathedral on Sunday morning, 11th November 2018 to lay a wreath in the name of the Incorporation for the fallen. 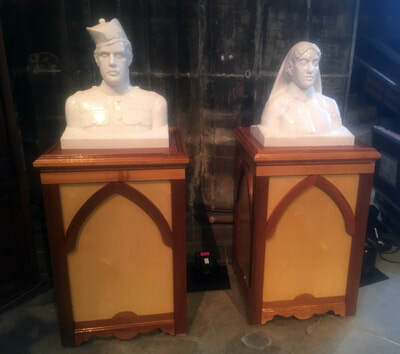 This is the first time that the Incorporation have been invited to do so is a continuation of the Incorporation with the Cathedral as it was saved by the Craftsmen of the City during the Reformation when fanatical citizens tried to pull it down. 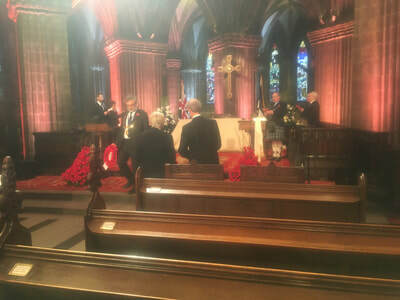 The Incorporation now have a standing invitation to join in the commemorative Service in the Cathedral each year and to lay a wreath. Accompanying the Deacon were the Queen of the Masons Rona Weetch, The Collector, the reverend David Taylor, Past deacons David Dobson and his wife Jan Dobson, Brian Evans and Ian Smith, late Collector John Brown, Alistair Denovan (the Sculptor) and his wife Debbie, Andy Pollock and his wife Vivienne. Collector, The Reverend David Taylor was invited to accompany the minster Reverend Ross on the chancel and assisted later in the ceremony in receiving the offertory. 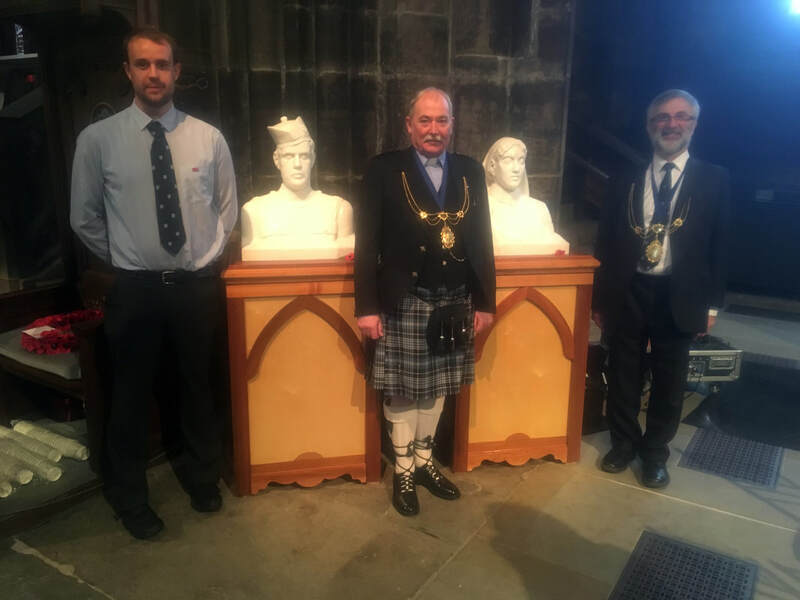 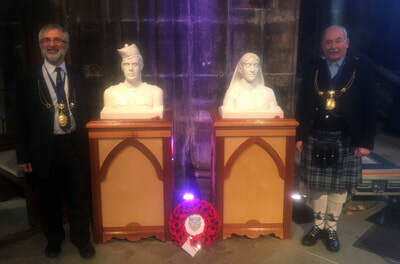 The busts of the soldier and nurse were commissioned by the Incorporation and the young sculptor Alistair Denovan was good enough to attend the service as well. 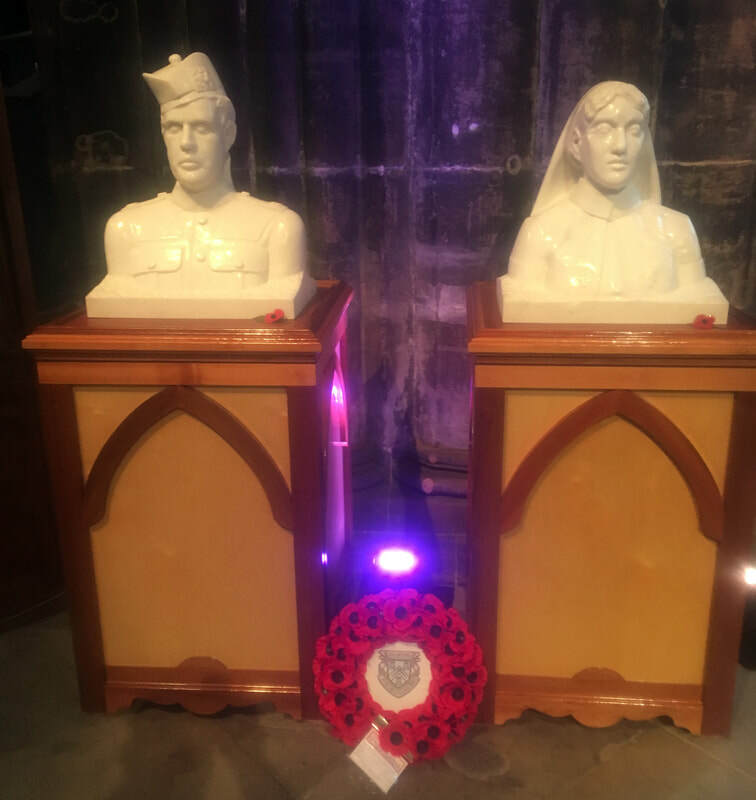 The two busts were placed in a prominent position within the cathedral for all to see and are now on loan to the Cathedral for approximately three years, until the Royal Infirmary Museum is completed when the busts will be transferred to their final home. Please click on one of the images below to see an enlarged photograph.